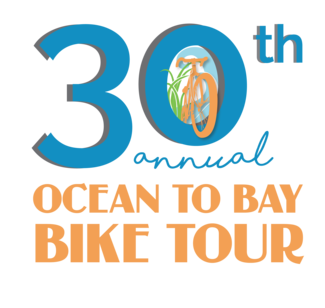 The 30th Annual Ocean to Bay Bike Tour will bring more than 2,500 cyclists – plus their families – to the Quiet Resorts this April. With nearly 90% of the participants visiting from outside the Chamber’s service area, the Chamber enlists the support of hundreds of volunteers to assist in the success of this award-winning event. The event will be hosted rain or shine (unless public safety is threatened), and all volunteer posts on event day are provided with shelter from the elements. Volunteer for 4 hours or more and you will earn a free Bike Tour t-shirt. Thank you for volunteering your time in support of the annual event! Assists in preparing cyclist packets in advance of event. Assist with loading U-Haul trucks with rest stop supplies. Heavy lifting is required. Assists with set up of packet pick-up tent and pulling team/group registrations and/or pulling team t-shirts. Assists with checking in 2,500+ cyclists. Volunteers distribute all event items and answer event and/or area questions. Assists with set-up and tear-down for cyclist after-party. Course marshals follow the last cyclists in each ride length throughout the course, providing status updates to the race director and serving as the "official" last rider for each distance. Must have a truck or SUV; assists by transporting cyclists in need of repair to nearest rest stop. Website promotion available for businesses! Assists in setting up and tearing down event rest stops, while serving as the face of the race throughout the course. Volunteers maintain event rest stops, answer participant questions as needed, and communicate any needs or updates with Chamber staff. Cheer on cyclists as they come into the finish line! Perfect opportunity for larger groups or teams to volunteer together.